Your Highness — there aren’t enough words…. The only thing I learned from this film is that Zooey Deschanel has larger breasts than originally thought. Or perhaps that was just the corsett. 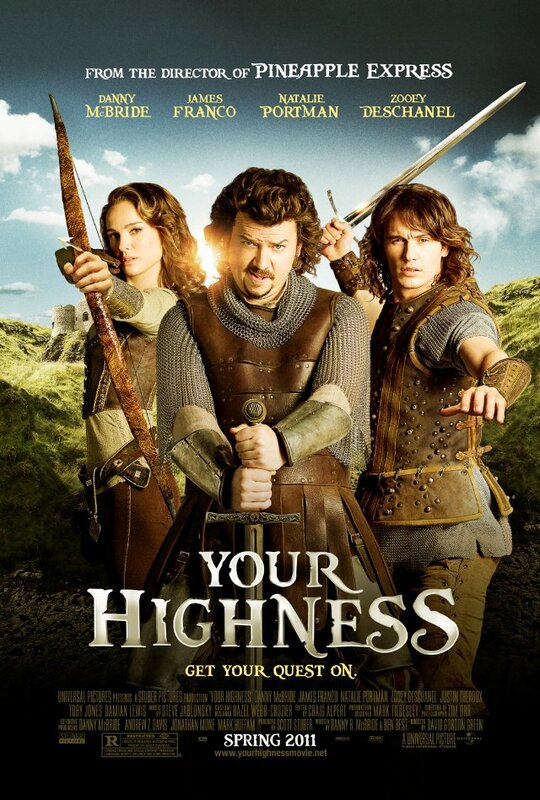 If you removed all the moronic, sophmoric jokes and needless profanity and made it strictly just a medieval story of knight rescuing princesses, it would still be a horrible, horrible film. Director and Danny McBride’s buddy from Eastbound & Down, David Gordon Green seems to be capturing the same magic spark that happened with his earlier Pineapple Express but the humor becomes anachronistic and out of place. But even if it didn’t, the humor is so base that the writing staff on America’s Funniest Home Videos groan.